Railway RRB NTPC Update Post Preference 2019. BSF Radio Operator, Radio Mechanic Online Recruitment 2019. Indian Army 130th Jan 2020 Online Recruitment 2019. SSC Stenographer Grade C &D tentative Vacancy List 2019. SBI Bank Clerk Online Applycation Form 2019. Indian Navy Recruitment 2019- Apply Online for 172 Chargeman Post. Bihar Board Scrutiny Online Applycation Form 2019. State Bank (SBI PO) Recruitment Online Form 2019. CBSE (CTET) July 2019 Online Form Correction Available. IDBI Bank Various Post Vacancy Online Form 2019. UPSC Geologist Online Applycation Form 2019. Railway RRB Group D Recruitment 103769 Post Online Form 2019. BRLPS Various Vacancy Online Applycation Form 2019. SSC 10+2 CHSL Online Applycation Form 2019. Bihar BPSC Stenographer Online Applycation Form 2019. UPSC IAS/IFS Online Applycation Form 2019. Bihar Board 10th High School Result 2019. 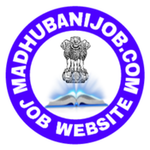 IBPS CRP Clerk VIII Online Recruitment Mains Result 2019. BSEB Bihar Board Intermediate Result 2019. SEBI Assistant Manager Recruitment Final Result 2019. Railway Group D Update/Correction Bank Details 2019. Indian Bank PO Recruitment Final Result 2019. NIOS D.El.Ed 3rd Examination Result 2019. Bihar PHED Junior Engineer Merit List 2019 Available. Bihar Bidhan Sabha Assistant & Other Post Result 2019. RBI (Reserve Bank of India) Security Guard Result 2019. IBPS RRB VII Office Assistant Mains Result 2019. Coast Guard Navik GD 02/2019 Admit Card 2019 Available. UPSC NDA & NA (1) Recruitment Admit Card 2019. NIOS D.El.Ed 4th Semester Admit Card 2019 Available. Coast Guard yantrik Recruitment Admit Card 2019. Karnataka Bank PO Interview Admit Card 2019. Bihar Bidhan Sabha Assistant Typing Test Admit Card 2019. SSC GD Constable Recruitment Admit Card 2019. BPSC Assistant Engineer Exam Exam Date Announced 2019. SSC CGL Recruitment Exam Date Announced 2019. BPSC Assistant Engineer Recruitment Answer Kye 2019. SSC Stenographer Recruitment Answer Kye 2019. Delhi Police MTS Recruitment Answer Kye 2019. Railway RRB Group D Recruitment Answer Kye 2019. Bihar Bidhan Sabha Various Vacancy Answer Kye 2019. Railway RRB NTPC Recruitment Syllabus 2019. Download (UP TET) July 2019 Online Form Syllabus 2019. Railway RRB JE Download Online Form Syllabus 2019. Bihar Bidhan Sabha Online From Syllabus 2019. SSC GD Constable Online From Syllabus 2019. Download UP TET Online Form Syllabus 2019. Bihar Scholarship Online Applycation Form 2019. RTPS Bihar Cast, Income, Residence Certificate Online Apply. New Pan Card Online Apply / Correction 2019. Aadhar Card Online Download, Correction, Status 2019. New Voter ID Online Apply, Correction, Status 2019. Bihar Khata, Khasra, Khatauni Online Check.